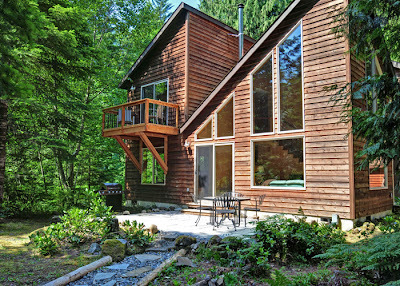 Mystical River Retreat is a quiet cabin in a wooded setting along the Sandy River in Zigzag with vaulted ceilings, woodstove, decks, BBQ and a private hot tub. 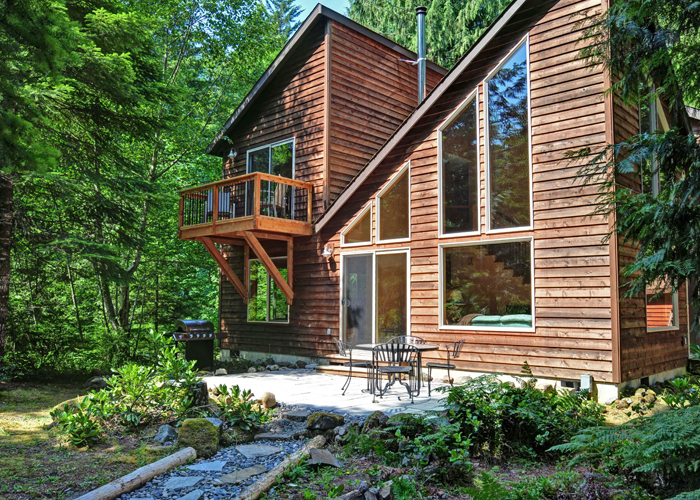 Ideal setting for one or two couples or a small family on a relaxing Mt Hood getaway. 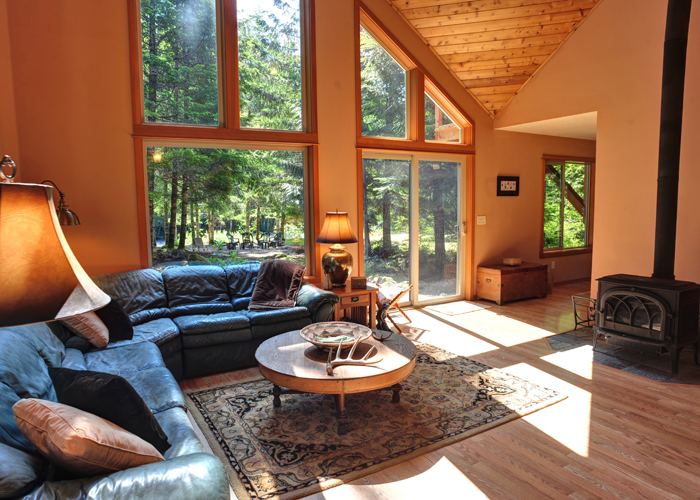 Enjoy the river from inside the vaulted great room with lots of view windows or sit in the Adirondack chairs and watch the river flow by. 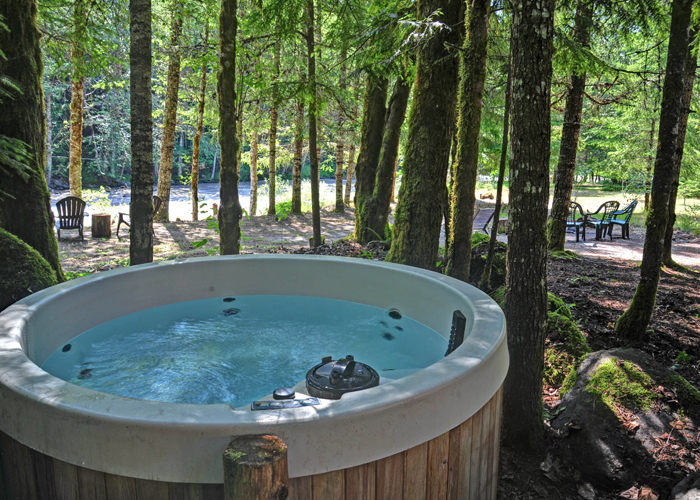 The relaxing private hot tub is surrounded by tall trees and enjoys Sandy River views. Roast marshmallows and re-tell stories by the campfire after dinner. 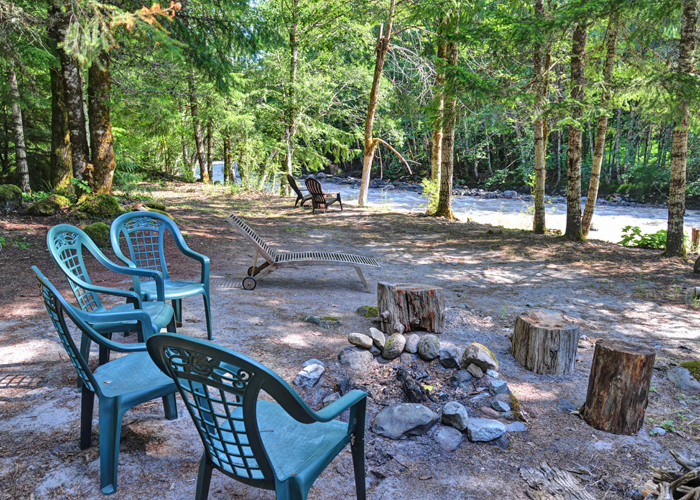 Large yard and accessible river is a fun place for your dog to play.